SKU: stsBruceBudder. 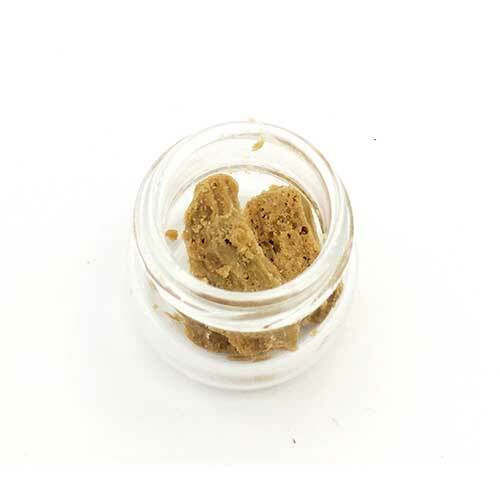 Categories: Extracts, Budder. Tag: budder. Bruce Banner budder from Sea To Sky Extracts. Balance your high. Sea to Sky only offers CBD, THC and terpene-rich cannabis shatter and budder. Their cannabis oil is cleanly extracted using a supercritical CO2 method and our products are lab tested to ensure the highest quality. We test for cannabinoid and terpene profiles, potency, and contamination. Aside from the beautiful gold goodness you are about to indulge in, the budder is made with high quality and small-batch Bruce Banner trees... Maybe The Hulk wouldn’t be such a stressed out ball of anger if he just had some of this flower power.